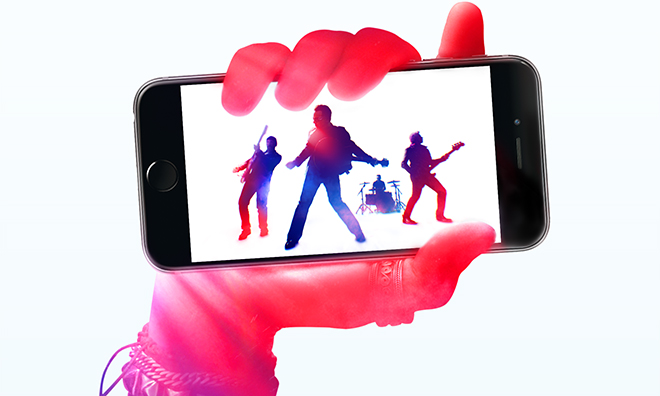 According to a report on Tuesday, Apple paid rock band U2 an unknown amount of money to distribute the group's latest "Songs of Innocence" LP to iTunes users free of charge, a gift to customers of the digital storefront. As expected, Apple shelled out for the opportunity to give away a free copy of U2's Songs of Innocence to iTunes customers, a group that numbers nearly 500 million people, reports Time. "We were paid," U2 frontman Bono said. "I don't believe in free music. Music is a sacrament." He also alluded to a broken music charting system and an industry that has tried, but failed, to keep pace in a digital age. Ironically, Apple's iTunes nearly single-handedly brought about the seismic changes to which Bono refers. The publication goes on to offer behind-the-scenes details of the iPhone 6 event aftermath. Bono reportedly chatted up longtime friend Jony Ive in the green room at Flint Center, who was joined by superstar designer —and new Apple employee —Marc Newson. A partnership was described between the three, with Bono referring to themselves as the "three amigos." Apple CEO Tim Cook on Tuesday brought U2 to the stage for a performance as a follow-up to the "One more thing..." Apple Watch debut. Following the live session, Cook and Bono had a slightly uncomfortable —and scripted —back-and-forth that culminated in the announcement that iTunes would be giving away U2's album for free. Update: A follow-up report by The Wall Street Journal provides additional details of the U2 tie-up. As part of the deal with Universal, Apple will use the single debuted today, "The Miracle (of Joey Ramone)," in a commercial blitz for the iPhone 6 and Apple Watch supposedly worth some $100 million. Further, Apple's iTunes, iTunes Radio and Beats Radio have a 25-day exclusive on the LP. U2's Songs of Innocence will be released on physical formats on Oct. 14, with the copies slated to include additional tracks.